The Norwegian vessel that turned 180 degrees upon arriving South African waters with fish from occupied Western Sahara, has spent the last two days discharging its cargo in the port of Abidjan. An international request for detaining the vessel was sent out to African states. 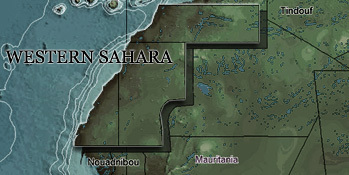 Western Sahara Resource Watch (WSRW) knows that the government of South Africa sent out a request to neighbouring governments to detain the vessel Green Glacier, if it were to enter their waters. The request was sent out on 25 January. The vessel contained a controversial cargo, consisting of fish illegally caught by Russian trawlers in the waters of occupied Western Sahara. WSRW has followed the route of the vessel since it picked up the cargo during the New Year week. On 23 January, as the vessel was about to arrive at its final destination of Cape Town, WSRW asked the local harbour authorities to intervene. WSRW has indications that the government of South Africa was ready to do so. 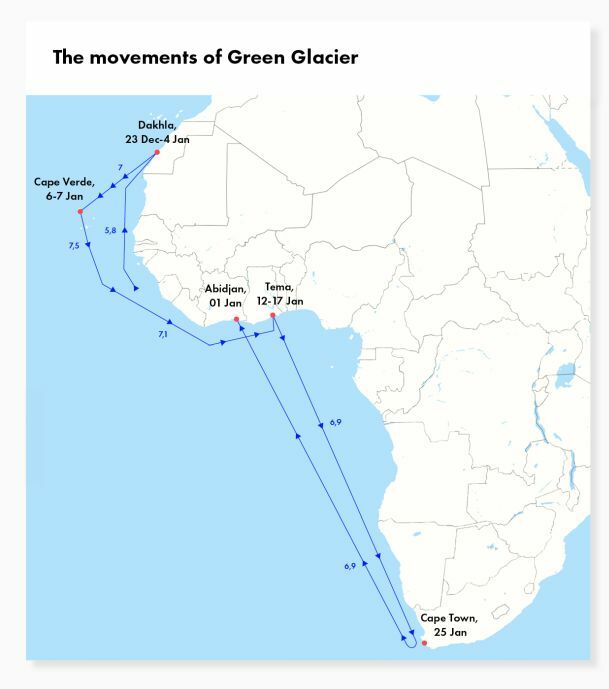 However, after waiting for a few hours on the doorstep to South African marine jurisdiction, the shipping company Green Reefers ordered its vessel to make a u-turn, sending its ship steaming full speed back north to Abidjan, the same area it had departed one week earlier. It is still not known to WSRW what finally triggered the Green Reefers vessel to abort its mission at last minute. The affair had received attention from local media in South Africa. Green Glacier arrived at Abidjan on the 1st of February, 15 days after it had left a port in the neighbouring country of Ghana, located only a few hours' voyage away. The legal risk for companies to be involved in the illegal plunder of Western Sahara has increased dramatically following the decisions of the Court of Justice of the EU in 2016-2018. The court stated that deals covering Western Sahara can only apply if they have obtained the consent of the Saharawi people. This decision was reflected in the South African detention of the cargo onboard of the vessel NM Cherry Blossom, a bulk ship that was stuck in Port Elizabeth, South Africa, for 370 days.